Congratulations on your 60th Anniversary. I remember the day 60 years ago when I had to present the flowers to (???) after the opening ceremony. My father was hall keeper for the first 25 years and my brother and I used to help clean the hall after events. I recognise many of the people in the photo, both my grandfathers( Bill Deuchar and Alex McEwen). My auntie and uncle Christine and Josef Hapka , Jim Fleming (worked Ben Lawers farm), George Ballingall (Auchtar), Jack Fisher (Cauldermore), David Campbell (Balnearn) , Elizabeth and Janet Robertson from Lawers and all the others identified by Alistair Barnett. Many thanks, Alex! 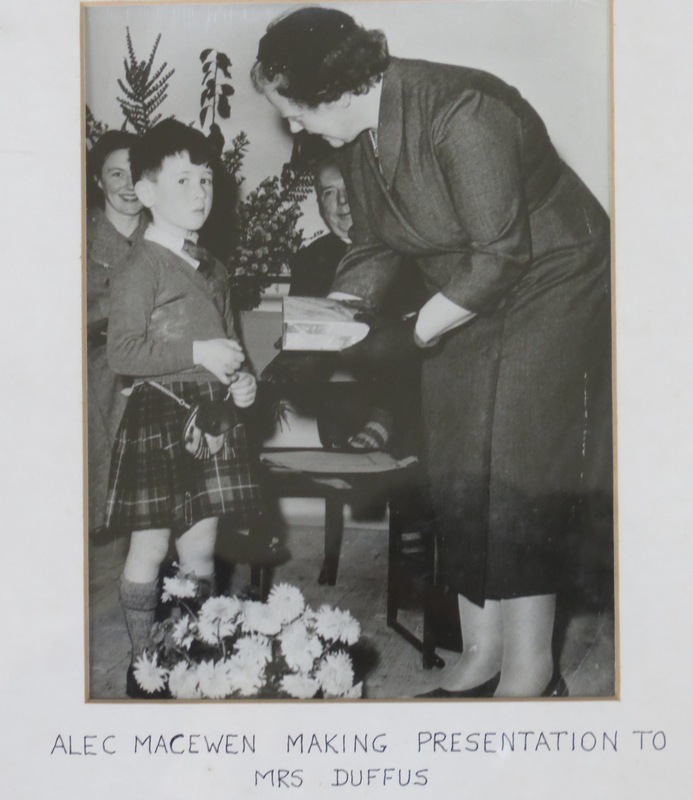 You made the presentation to Mrs Duffus – and here you are doing it! The photo is on the wall in the Hall, but I think I’m spotting a name check that needs to be corrected!